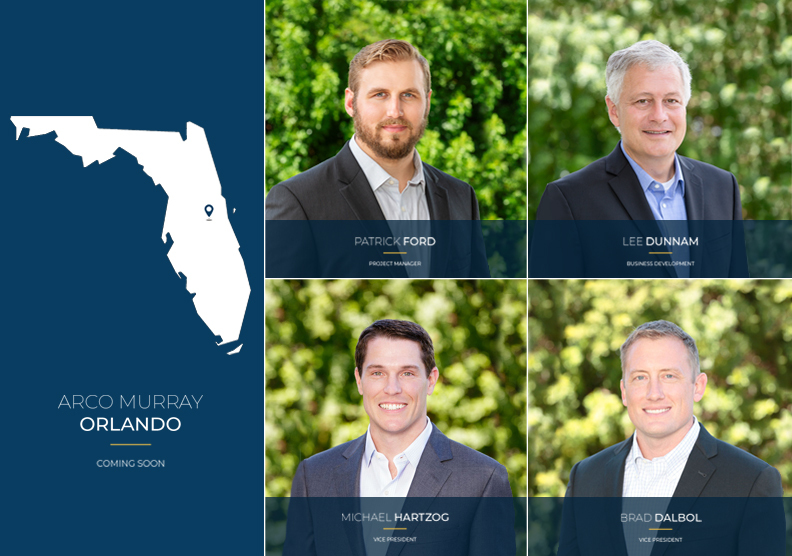 Meet the ARCO Murray Orlando team! Michael Hartzog and Brad Dalbol, both Vice Presidents and Shareholders, will oversee the office alongside Patrick Ford, Project Manager, and Lee Dunnam, Director of Business Development. We are excited to have this talented team of construction professionals growing our business and developing relationships in the Orlando market.